LONDON — Stock rose and the dollar fell on Friday after a key report showed the U.S. economy added slightly fewer jobs than expected in August, making it potentially less likely that the Federal Reserve will raise interest rates already this month. KEEPING SCORE: Britain's FTSE 100 was up 0.8 percent at 6,802 while France's CAC 40 gained 0.7 percent to 4,469. Germany's DAX edged up 0.2 percent to 10,550. U.S. stocks were poised for a higher open, with Dow and S&P 500 futures both up 0.2 percent. U.S. JOBS: The U.S., the world's largest economy, added 151,000 jobs last month, slightly below expectations for 180,000 and short of July's 275,000 gain. The unemployment rate remained at 4.9 percent. Job gains slowed across most major industries and employers cut workers in manufacturing, construction and mining. Hourly wages also barely increased. FED EXPECTATIONS: Some analysts were saying before the report that a strong result would make a rate hike from the Fed more likely in September. With the data falling short, that could mean the Fed waits a few more months. That could in theory help stock markets, which are generally boosted by lower rates, though investors will be weighing that against the evidence that the underlying economy is not as strong as hoped. G-20 WORLD LEADERS: Meanwhile, leaders of the Group of 20 most powerful economies are attending a two-day meeting this weekend, with the global economy expected to be one of the main discussion topics. China, the G-20 meeting's host, has made trade a major theme of the meeting while other governments also want to tackle climate change, cutting excess capacity in in steel and limits on use of tax havens. 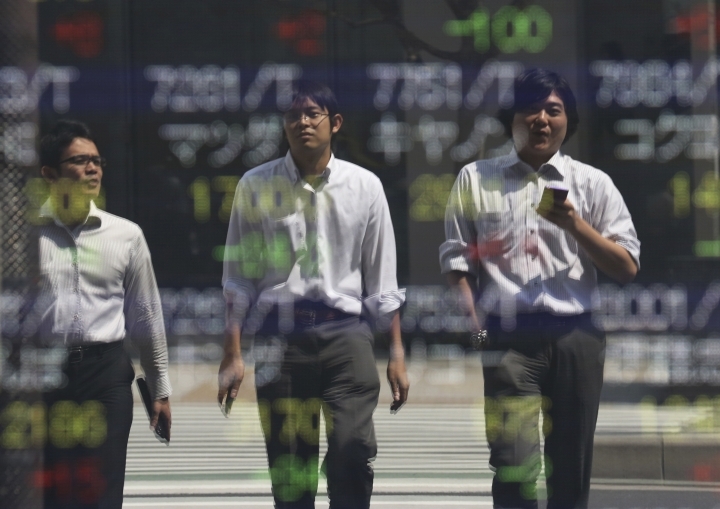 ASIA'S DAY: Japan's benchmark Nikkei 225 index finished practically unchanged at 16,925.68 while South Korea's Kospi edged 0.3 percent higher to 2,038.31. Hong Kong's Hang Seng rose 0.5 percent to 23,266.70 and the Shanghai Composite Index in mainland China edged up 0.1 percent to 3,067.35. Australia's S&P/ASX 200 lost 0.8 percent to 5,372.80. ENERGY: U.S. benchmark crude oil futures rose 61 cents to $43.77 a barrel in electronic trading on the New York Mercantile Exchange. The contract gave up $1.54 on Thursday. Brent crude, the benchmark for international oil prices, added 88 cents to $46.33 a barrel in London. CURRENCIES: The dollar slumped on expectations of a possible delay to interest rates in the U.S. 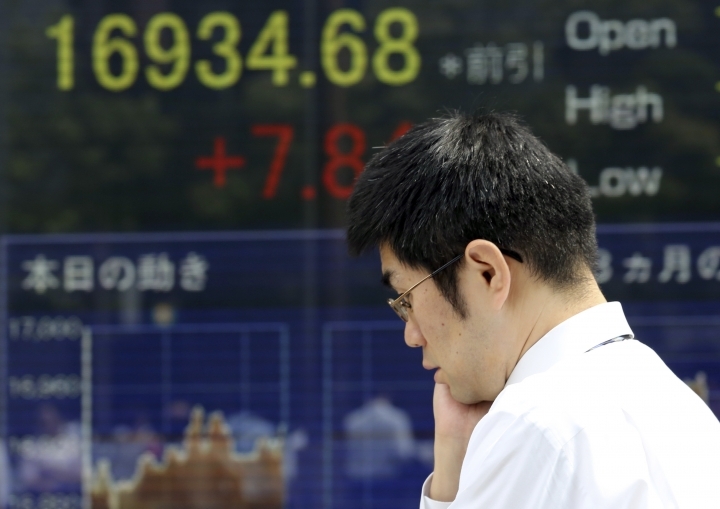 It fell to 103.09 yen from 103.26 yen in late trading Thursday. The euro rose to $1.1228 from $1.1195.